Colombo, April 11: The Matara-Beliatta train on the newly laid track cut through lush green fields and by the deep blue sea. A soft breeze blew across the passengers’ faces, tempering the heat of the summer day. April 8, 2019 was indeed a memorable day for the people of the Southern Province of Sri Lanka and Sri Lankans as a whole as the 26.75 km stretch of railway, built by a Chinese company as part of the Belt and Road Initiative (BRI), was the first new rail line built after Sri Lanka gained independence from Britain way back in 1948. This, despite the fact that the railways play a very important role in the life of Sri Lankans. The train is not only a mode of daily travel for thousands of Sri Lankans, but is also a major tourist attraction in the Indian Ocean island nation. Foreign tourists find it delightful to travel by a Sri Lankan train chugging its way acrtoss hills, valleys and by palm-fringed beaches. At the station, train driver Sarat Chandra had tested the equipment and cleaned the windows early in the morning. He told reporters that he had already tested the train on the new track the day before. “This track is of good quality and the train is running smoothly,” he said.”I am very happy that Sri Lanka has ushered in a new railroad,” he added. The first phase of the Southern Sri Lanka Railway Extension Line is 26.75 km long and connects the southern cities of Matara and Beliatta. It has a design speed of 120 km/h. The project, started in 2013, was built by China National Machinery Import & Export (Group) Co., Ltd., with the Export-Import Bank of China providing a loan. Seven year old girl, Davisa’s home, is next to a newly built station on the southern railway extension. She has lived here since she was a child. But she rarely went out because of the inconvenience of travel. The construction of the first phase of the Southern Sri Lanka Railway Extension Line took six years. Local geographical features and the long rainy season had created many difficulties for the builders of the railway. For example, the terminal station at Beliatta had to be raised to 10 meters. The person in charge of the Chinese project said that because there were vast variations in the terrain, with both hills and swamps to cross, but the line had to be at the same level to ensure that the train runs at a high speed. Therefore, the station had to be on high ground, he said. Local public opinion is that the southern railway project will play an important role in promoting Sri Lanka’s economic development. 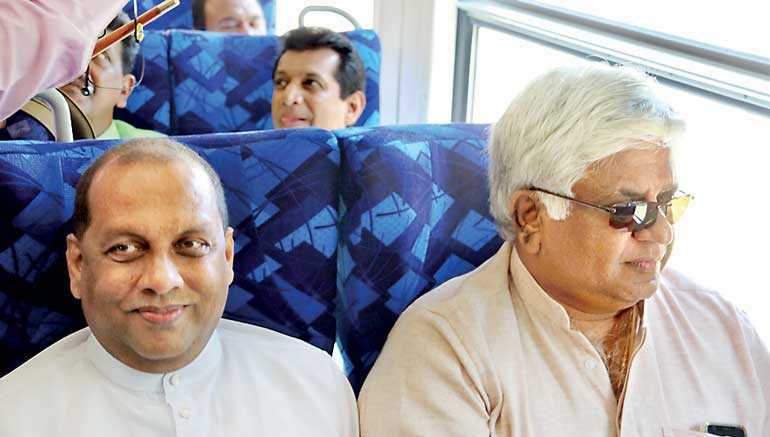 As the southern railway gradually extends to the Hambantota area in the deep south, which has a port and an airport, the southern part of Sri Lanka will have a “three-in-one” transportation pattern with land, sea and air connectivity.